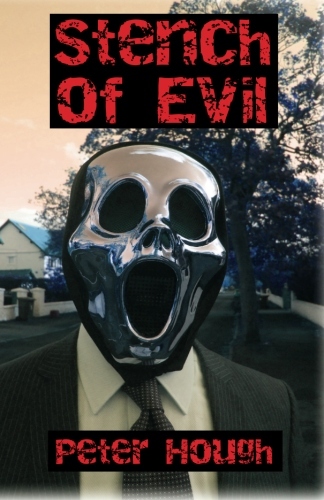 I've just published my novel, Stench of Evil, on Amazon as a Kindle download and a quality paperback. You won't find it in any book shop because I decided to give up on traditional publishers after trying and failing to get any of them to even view my new book. How is it that someone who has previously published 18 books, of which many sold foreign rights, newspaper serial rights and book club rights, found themselves in this position? In the last few years print publishers has made a fundamental change in how they solicit new books. Unless you're a celebrity, or are already a top-ten best selling author, they will no longer deal with you personally. They will only deal with you through an agent. I never needed an agent - even if I was approaching a publisher for the first time, after all that's someone else to dip into your advance and pocket their share. But now publishers have decided that's what you have to do - and it is all about saving money. If a publisher is relying on agents to sort the chaff from the wheat, they don't have to employ readers and support staff to handle queries from would-be authors. The problem is that there are far fewer agents than publishing companies. Most of them are one man or two man (or women) outfits, already with a full list of clients. Becoming a published author has always been an uphill struggle - but it's even harder now. A lot of very talented writers will give up after trying in vain to attract the attentions of an agent. There will be dozens of best sellers out there which will remain as a file on a PC, and will never see the light of day. Thankfully, for both published writers and newcomers, there is now another way. It costs virtually nothing to put your paperback on Amazon, and your ebook on Kindle - if you do all the technical stuff yourself. You retain the copyright, and the only niggle is that the paperback can only be purchased from Amazon.com and not Amazon UK. But you can use your credit card to pay in dollars, and it will take longer to ship, but that's all. Some authors who spent years having their work rejected are now selling very well on Amazon. I could have carried on in my attempts to find an agent, but even if I was successful, they would then have to get a publisher for my novel - and the fact of life is that from start to finish it can take months or more likely years before it is finally published. With Amazon it just takes days.